Today, I wanted to share my new holy grail concealer. Before, I was using the Tarte Maracuja Concealer, but it didn’t work too well with my oily skin. Then, I used the Maybelline Age Rewind Concealer, which I like, but it made my fine lines look really bad. It also exemplified the tiny pore-like bumps we have on our under eye area, which caused my concealer to look super cakey. So I had to find something for oily skin, but dry under-eyes. 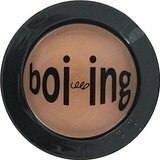 After lots of research with reviews and videos, I came across the Benefit Cosmetics Boi-ing Concealer and I absolutely love it! The packaging describes it as an “industrial-strength concealer”, which is referring to the fact that it’s full coverage. I used this primarily for my dark under-eye circles, and occasionally on breakouts/dark spots. My under-eyes are dry, and this concealer is perfect because it conceals without showing how dry my under-eye area is. I have olive/medium skin, and I use the shade 2, which is light-medium. It would be too light as an everday blemish concealer, but for my under-eyes it’s perfect and as long as I blend it out well on my blemishes, you can’t tell the color difference. It also says you just need to use your finger to apply it. I know that many people find that unsanitary, but I like it. I make sure my hands are clean, don’t worry! But, a small concealer brush would work too! It’s a very matte concealer, but has a unique texture so it doesn’t dry your under-eyes out. I’m also a huge fan of the packaging! It’s super small and circular, which is perfect for my handbag and traveling. The package holds .1 oz of the product, which doesn’t seem like much, but it’s definitely enough. I usually need just three thin swipes with my finger and I’m done, and trust me, my dark eye circles are no joke. After four hours, I usually check up on it because sometimes it settles into one specific line under my eye. I don’t know if that line is just deep or what, but it’s always the same eye/line that the product settles into. My other eye is perfectly fine and normal, so it’s not a big deal for me. Also, I bought mine from Sephora for $20, which is pricey for such a small amount of product, but I feel like this is going to last me a long time. But, whenever it does finish, I definitively will be repurchasing. Hope you guys liked this review! Let me know if you’ve tried it!